Life on two wheels: Toronto Rocks!!! Another very important conference to attend in Toronto, another remarkable success. It's really nice to be on a roll. Here's hoping my luck holds until October 26, 2011. I'll spare you the details because it has nothing to do with my blog, and I apologize for being cryptic. If I've piqued your curiosity, and you just can't help yourself, you will soon be able to see what it's all about at www.cscs.org, but I warn you, if the words "shareholder democracy" don't really resonate with you, don't bother. If they do, maybe we should talk. So what do I have to share with you? 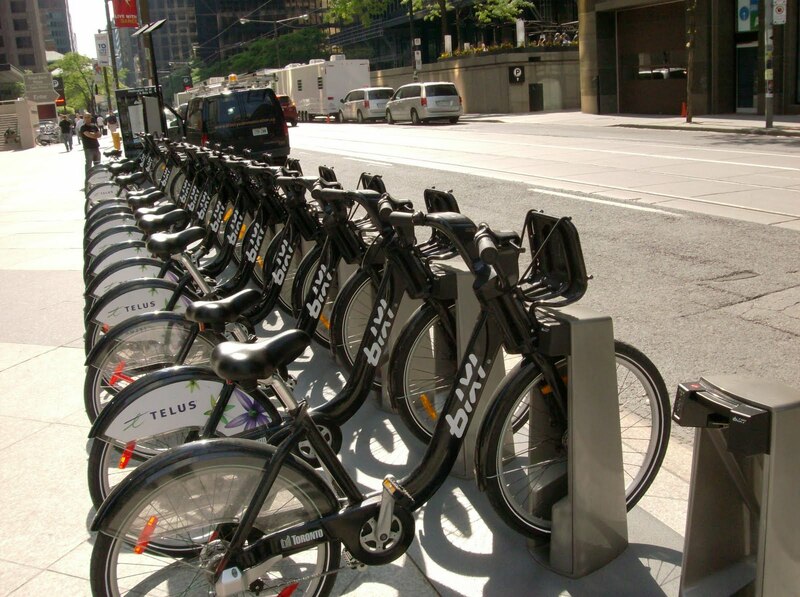 More of the same: a glimpse of life on two wheels in Canada's financial capital. 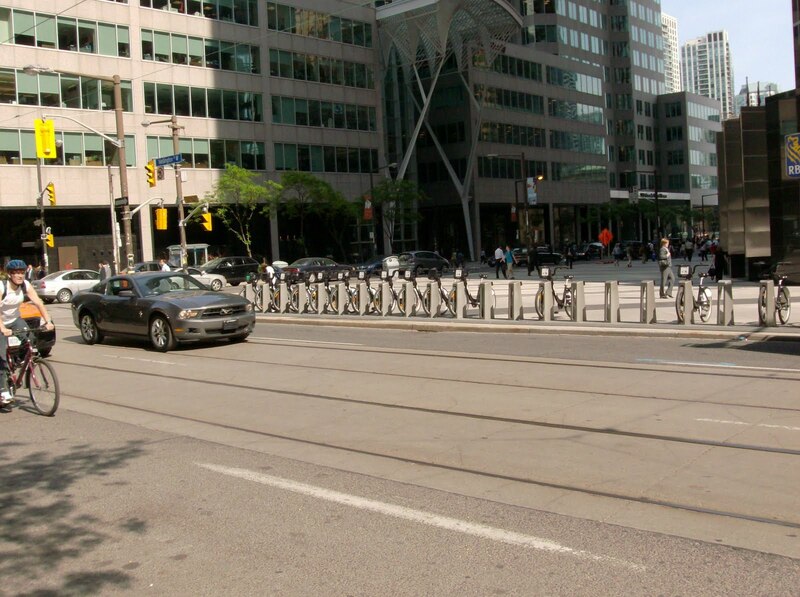 First, here are Toronto's BIXIs at the corner of Bay street. 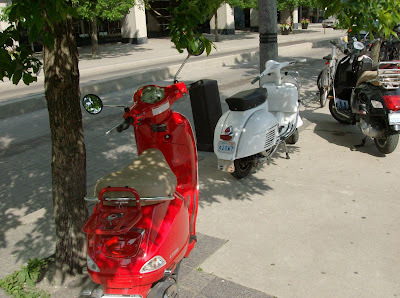 Then, have a look at this collection of Vespas parked on the sidewalk just east of Bay street on Wellington (there's nothing wrong with your speakers, I deleted the audio track which was just annoying street noise). I know, I know, that last one's not a Vespa. Still, six scooters and five of them Vespas on a single block, wow! And then this trio down on Queen's Quay on the waterfront (although the one that looks like a PX may actually be a Stella). 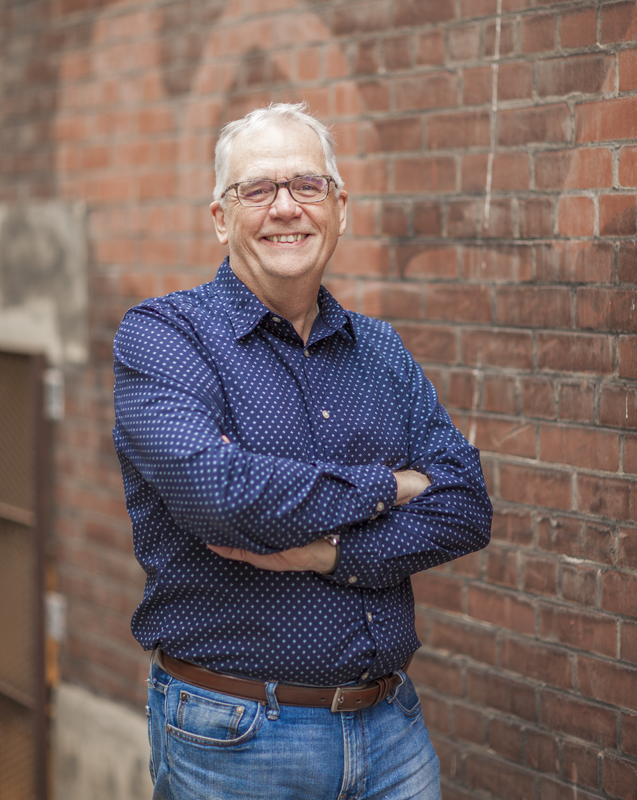 Bob: my son now lives in Toronto. 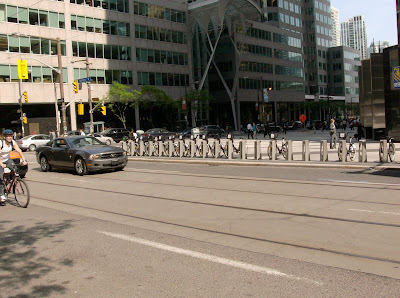 While the generous free parking offered to powered two-wheelers in Toronto is a huge plus, the absence of good bike paths and the presence of streetcar tracks all over the city, make Toronto less two-wheeler friendly than it might otherwise be. Nice catch! Toronto looks like scooter paradise to me. Here in Vancouver they would probably fine all the illegally parked motorized two-wheelers.